US 2 enters Minnesota high above St. Louis Bay. It was a long walk up this bridge to get this picture. Another look at US 2 on the bridge in Duluth. I spent the night here in Duluth on my second trip on US 2 when these photos were taken. The junction of US 2 and MN-194 in Saint Louis County. 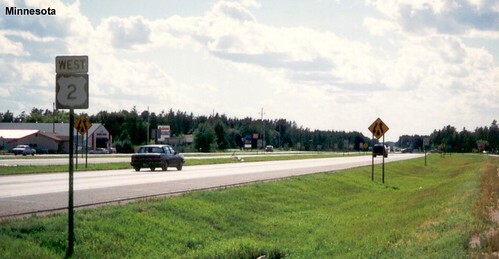 US 2 in Grand Rapids. 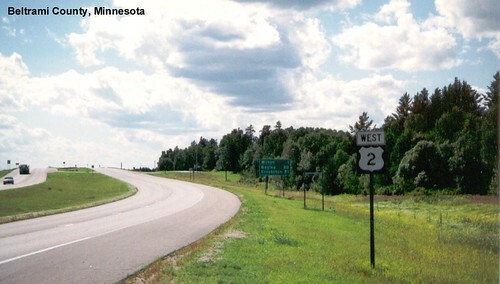 Another look at US 2 as it crosses northern Minnesota. 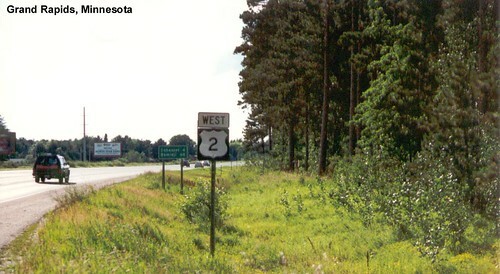 US 2 is a four-lane divided highway here in Beltrami County. 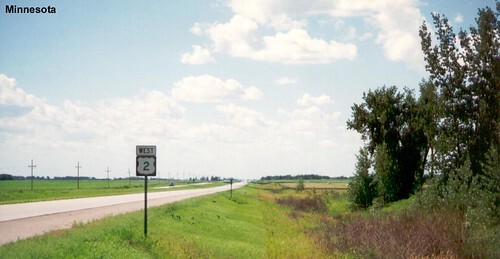 US 2 remains a four-lane divided highway through Polk County. As we approach East Grand Forks US 2 is multiplexed with MN-220.